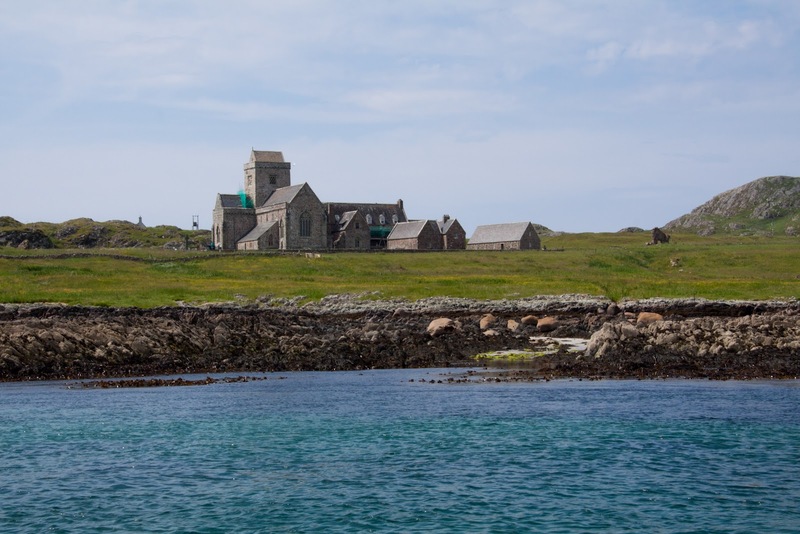 The Isle of Iona sits less than a mile from Fionnphort, Mull. In fact, Fionnphort seems to exist solely to house a handful of B&Bs, some free-range sheep, and the every-half-hour ferry across to Iona. 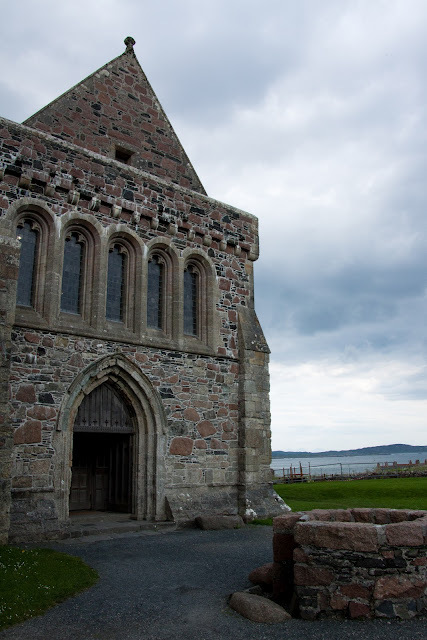 We didn't have much time on Iona, due to the circumstances of the day. However, we did the best with the time we had. 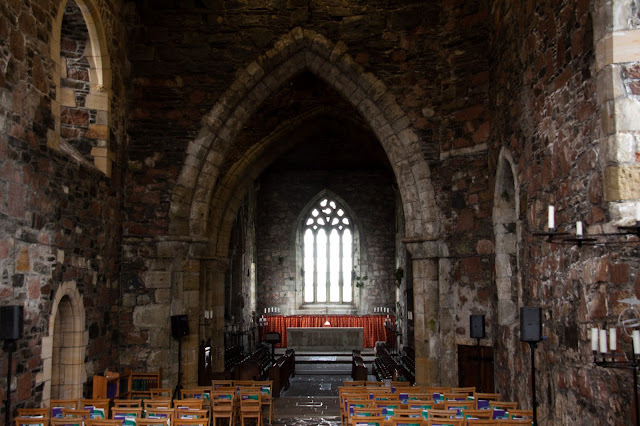 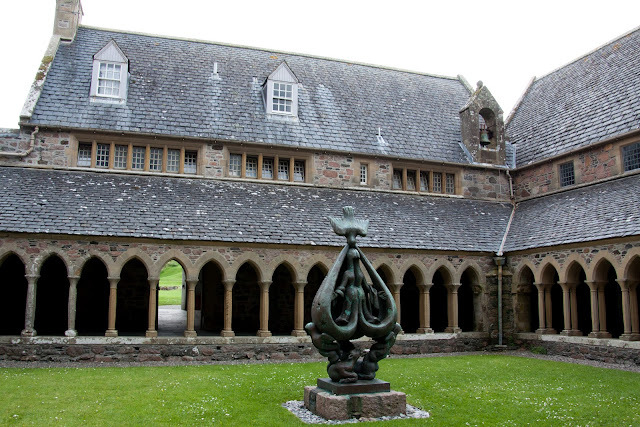 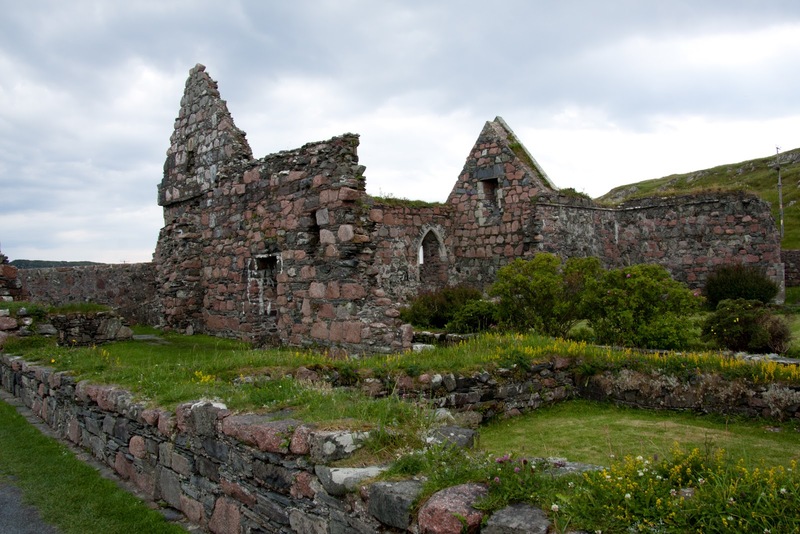 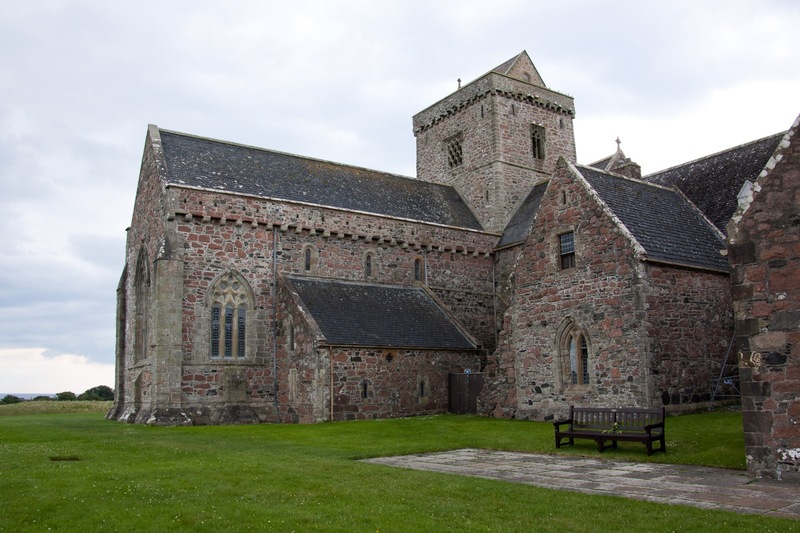 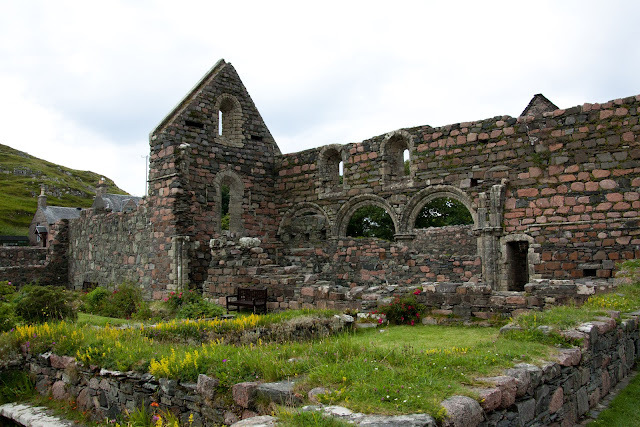 Iona Nunnery was established in 1203, but fell into disrepair soon after the reformation. The walls are made from pink granite. 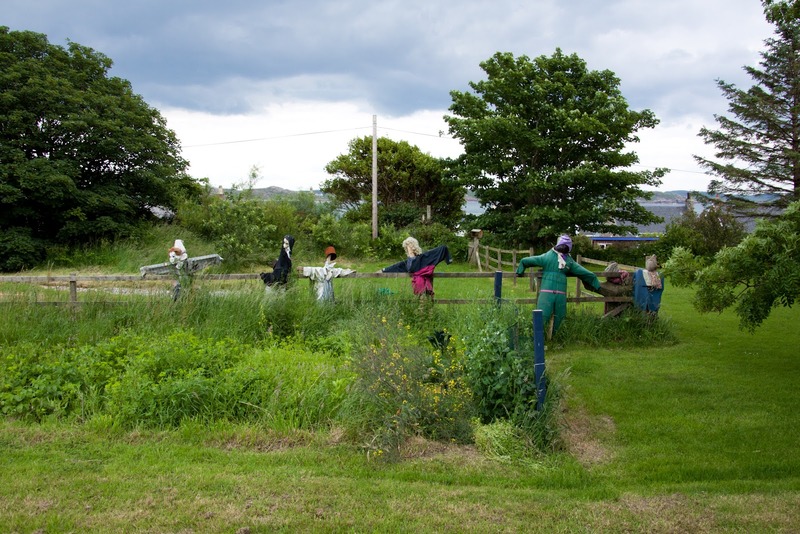 We passed some scarecrows... yep. 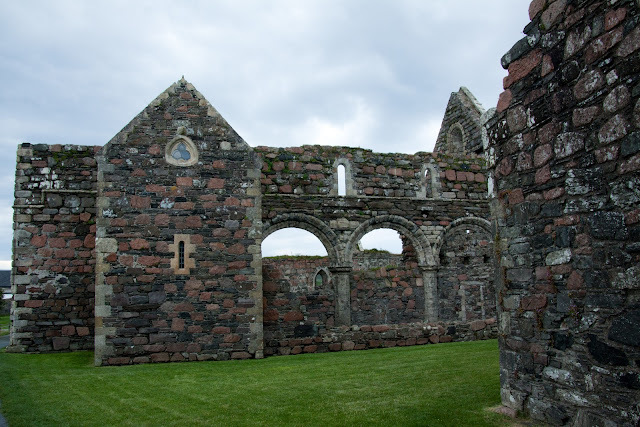 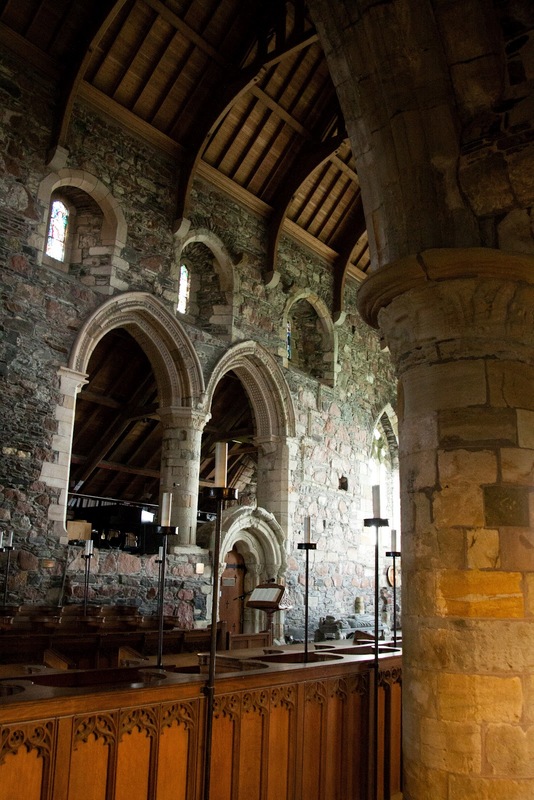 Iona Abbey was first established by St. Columba after he set off from Ireland to bring Christianity to the Picts. 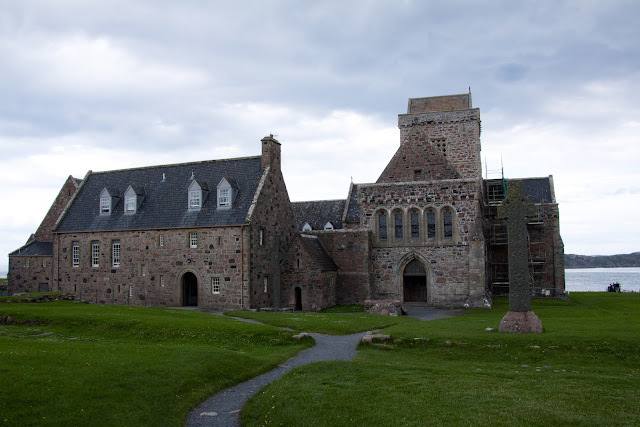 The monastery was originally in wood, but was first erected in stone around 1200. Heavy restoration was done in the first half of the 20th century, but the work held true to the original structure. 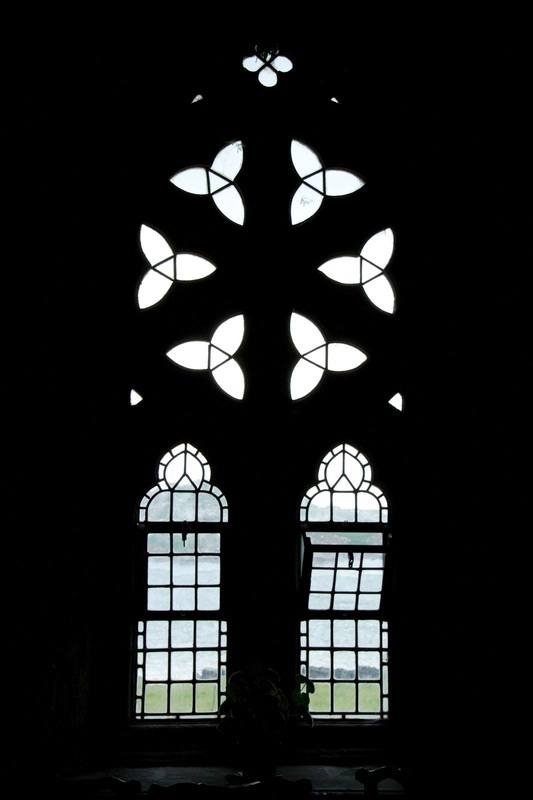 I love the unusually shaped windows! 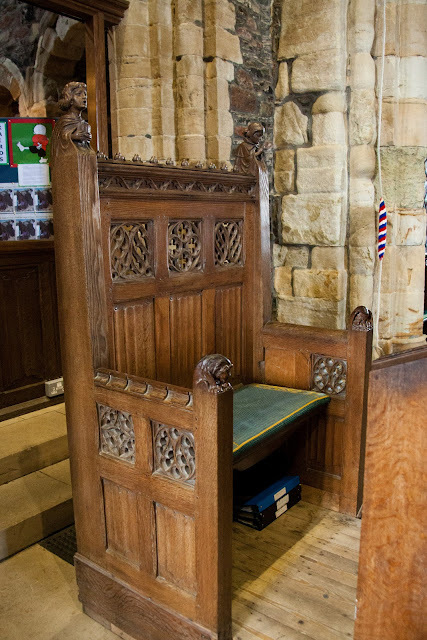 Not a bad pulpit chair! This little room was off to the side of the main door. 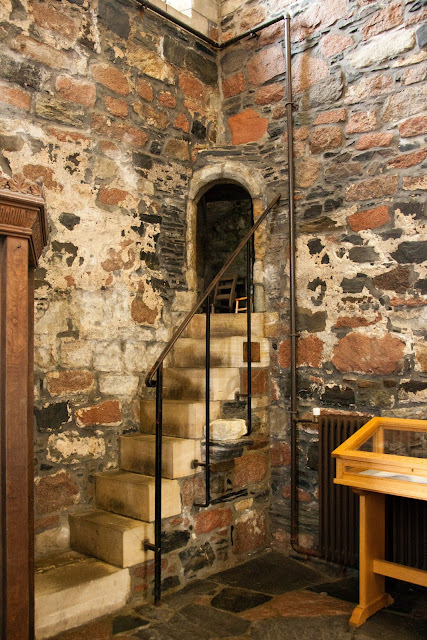 The entryway was very short, as were many of the side-room entries at the abbey. 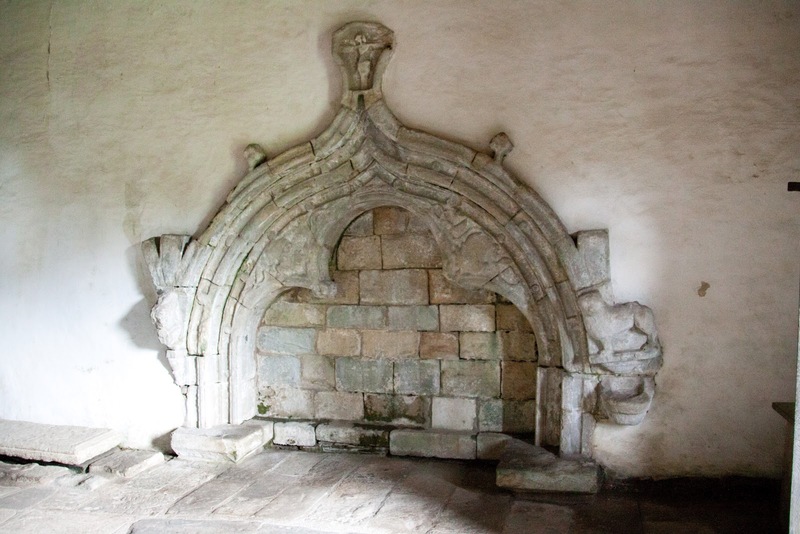 The remains of a fire surround. 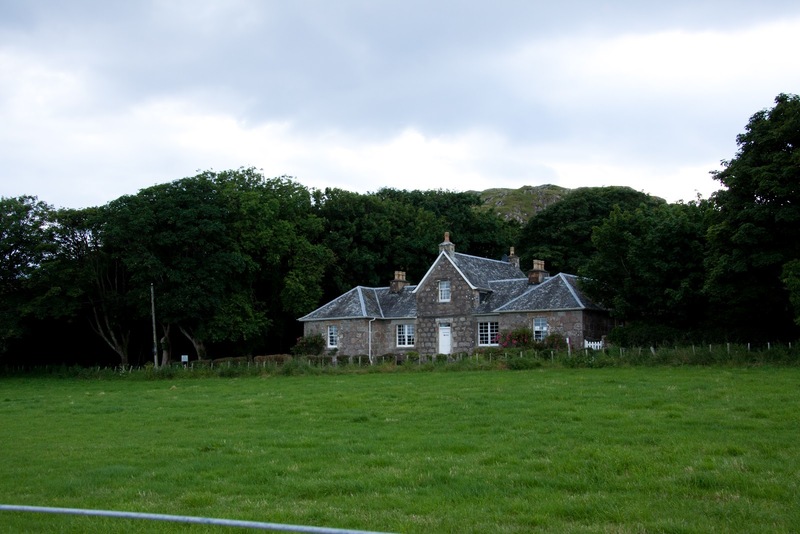 A home on Iona. 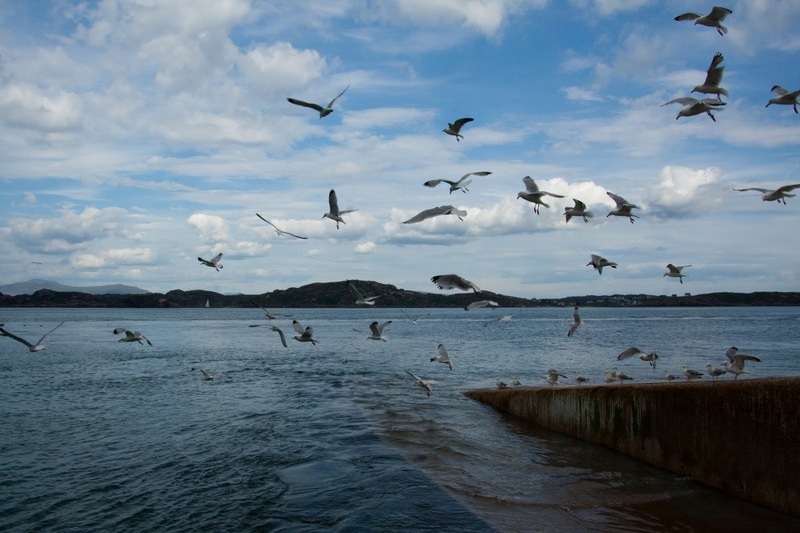 Mine...? As we boarded our boat to return to Mull, a flock of seagulls came by to see us off! 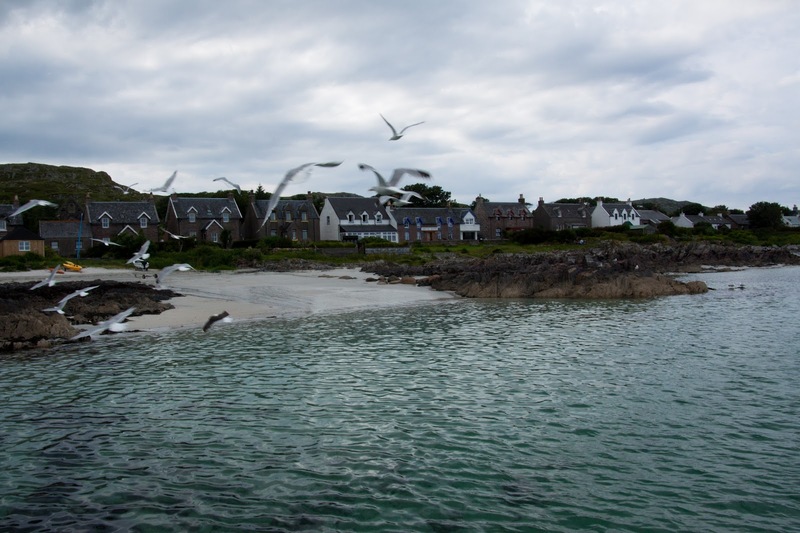 Come back tomorrow for some pictures from Mull!